Brian Fisher chronicled the life of Cragg in Fretboard Journal #23, but, as always, a bunch of great photos were left on the cutting room floor due to space considerations. 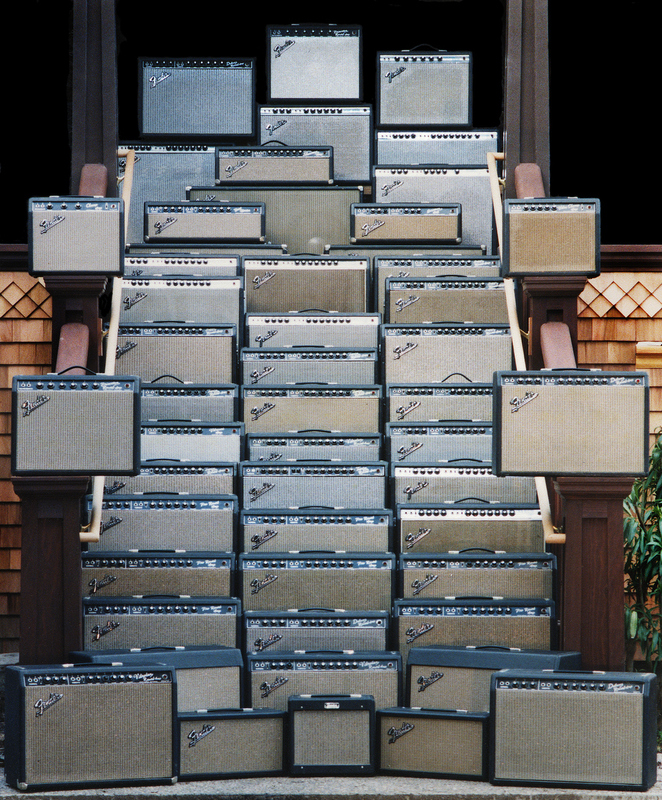 Here are some outtakes — in this case taken by Cragg himself — from one of the world’s great guitar and amp collections. To read more about Cragg, you can order Fretboard Journal 23 here. And, if you love great guitar photography or just like hearing about the legends of the musical instrument world, don’t forget to subscribe to our reader-supported magazine here. Some of Cragg’s guitars that Neil Young has played. 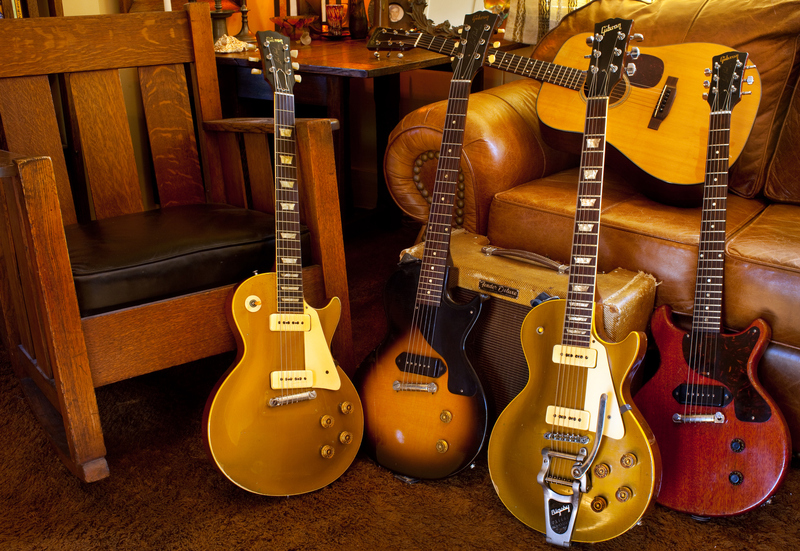 On the left is a late ’53 Gibson Goldtop Les Paul built to 1954 specs. 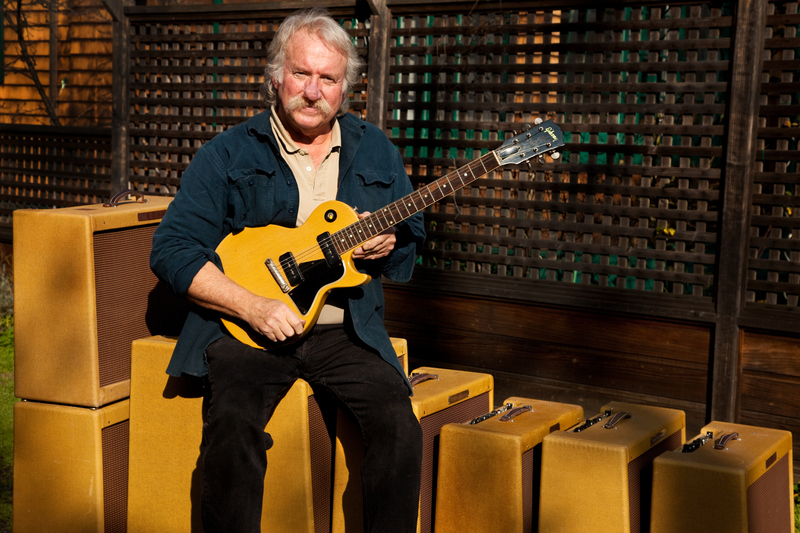 “Neil played this on sessions when the other Goldtop and Old Black were in a warehouse in Europe,” Cragg says. Next to it is a ’56 Les Paul Jr. which Cragg is says is just like Neil’s first guitar. Next to that is a Goldtop which Neil used on the Greendale album and tour. Finally another Les Paul Jr and (behind) a Martin D-18. 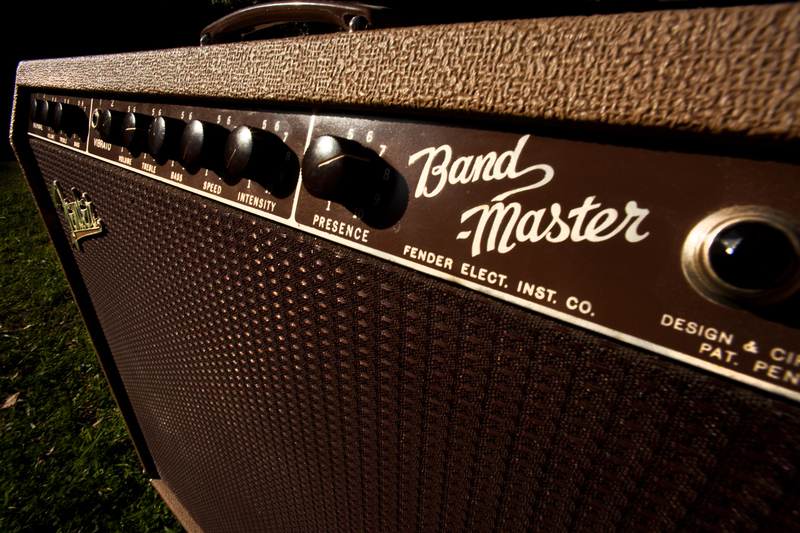 The 3×10″ Fender Bandmaster. “A lot of people don’t think this even exists,” says Cragg. 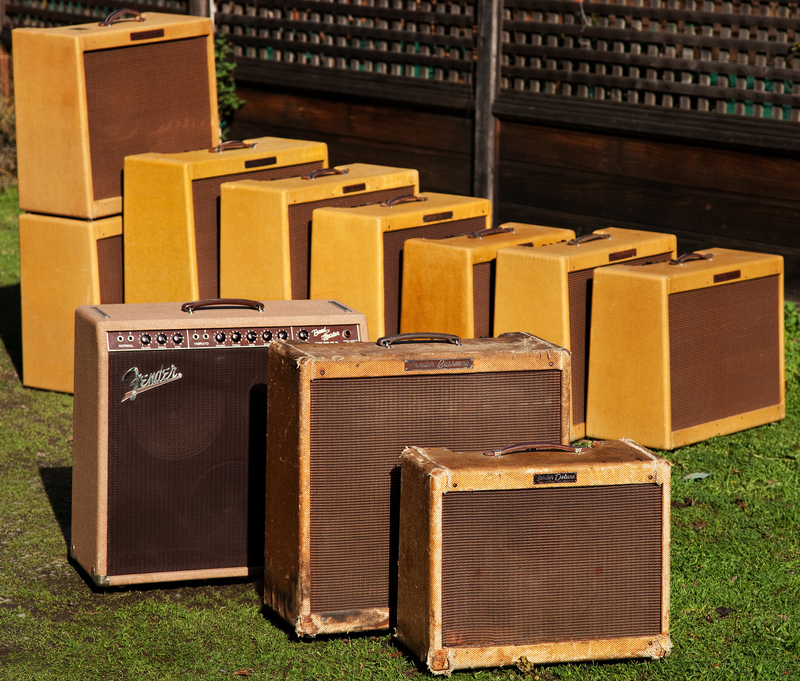 Cragg boasts a ridiculous number of Blackface Fender amps. “It took all day to arrange this shot,” Cragg laughs. He also has an insane amount of Tweed Fender amps. On the left is the 1952 D-18 Neil Young used on the Freedom album. After those sessions, Young decided he didn’t want to use it again. “His guitars are kind of dark sounding. 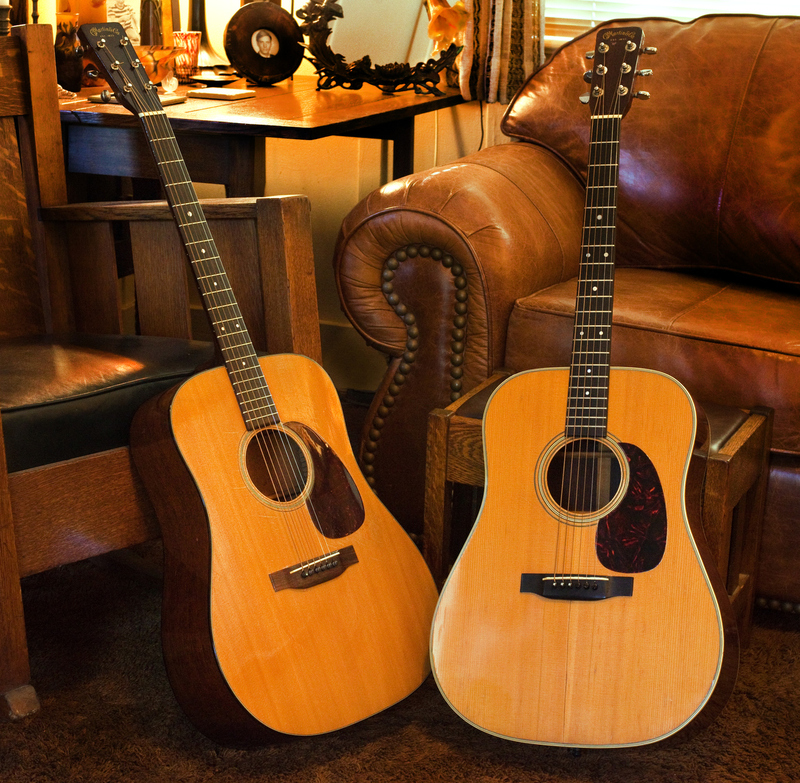 This one has brilliant highs and is my favorite Martin.” The ’60 Martin D-28 on the right belonged to Bob Dylan. It was one of two D-28s used on the Rolling Thunder Review. “The picture of Dylan in the tophat holding the guitar out is this guitar,” Cragg says. Cragg took this artful shot of his tube collection. 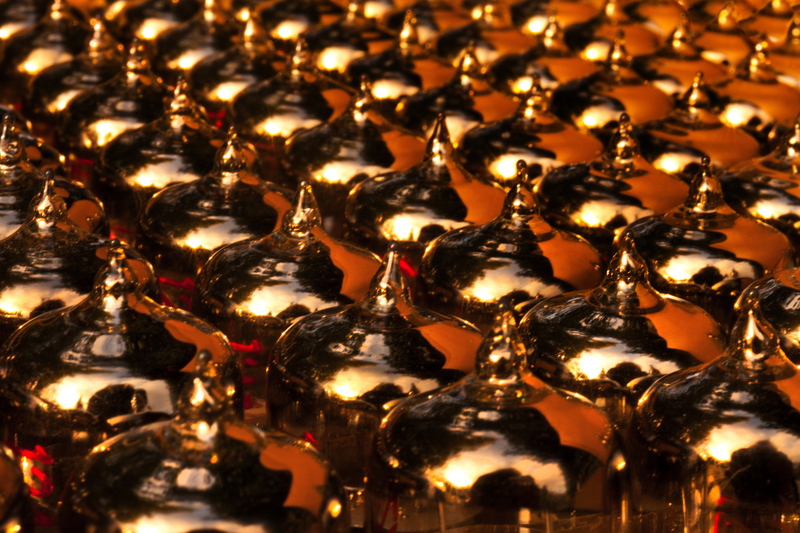 To get it, Cragg (who is also an avid photographer) used a Micro-Nikkor 55mm lens at f/32. The lens was almost touching the closest tubes. 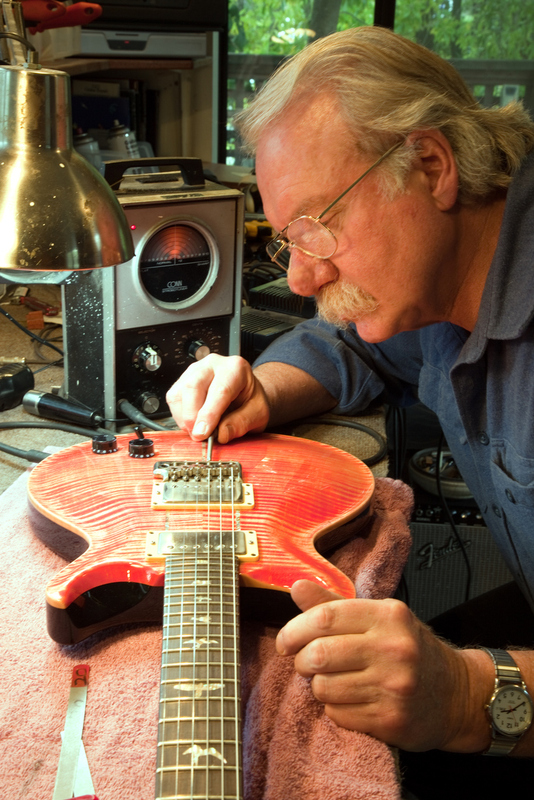 Cragg doing his typical setup work on one of Santana’s PRS guitars. 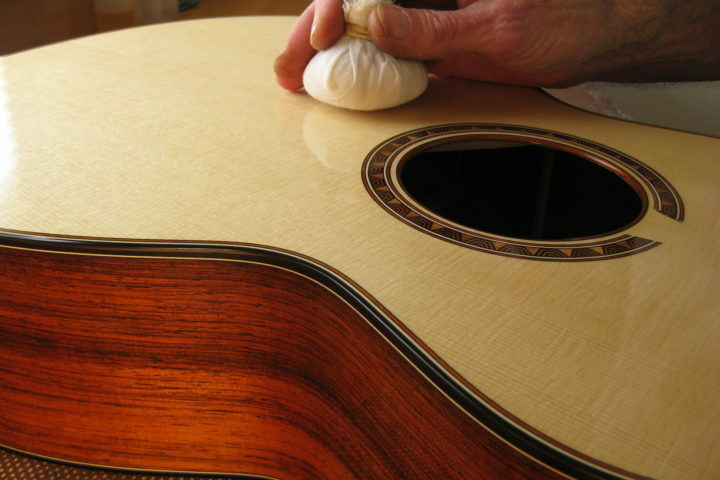 “I clean up the frets, clean up the neck and make sure the intonation is right and is up to his specs,” Cragg says. 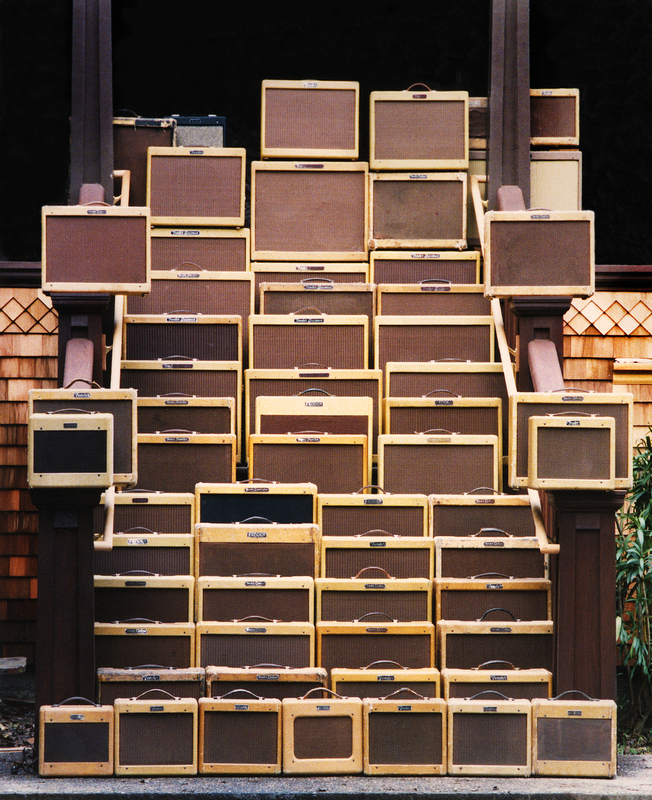 The Fender Deluxe in the front has been used by Neil Young as a backup to his main Deluxe. 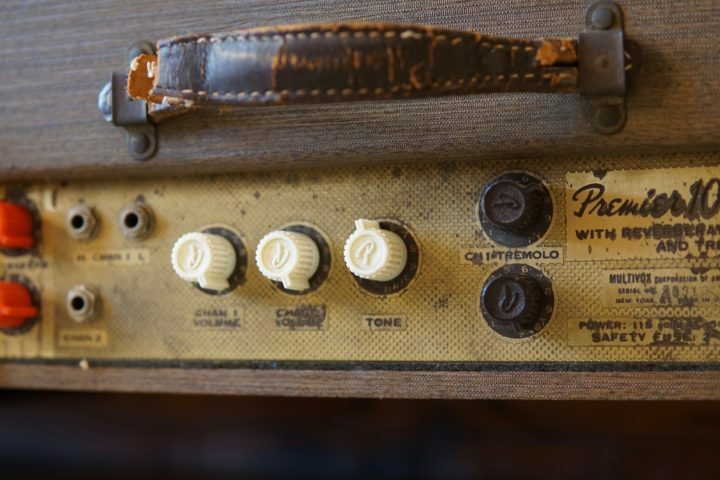 The second amp (a Bassman) was Paul Butterfield’s. “It’s been a through a flood but it sounds good!” Cragg says with a laugh. The third is a 3×10″ Bandmaster. 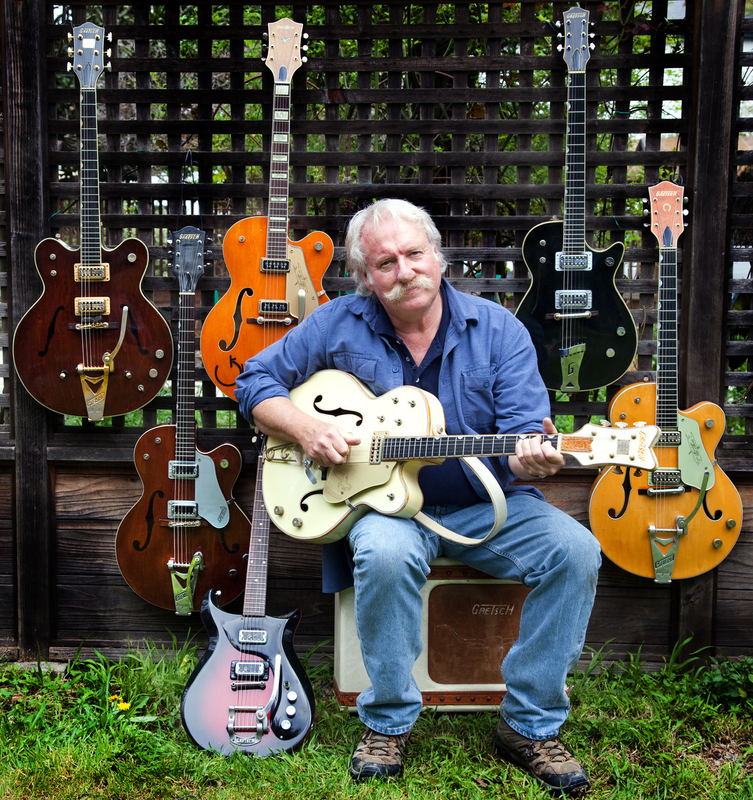 Cragg and some highlights from his Gretsch collection. He’s holding a rare 1961 stereo White Falcon. 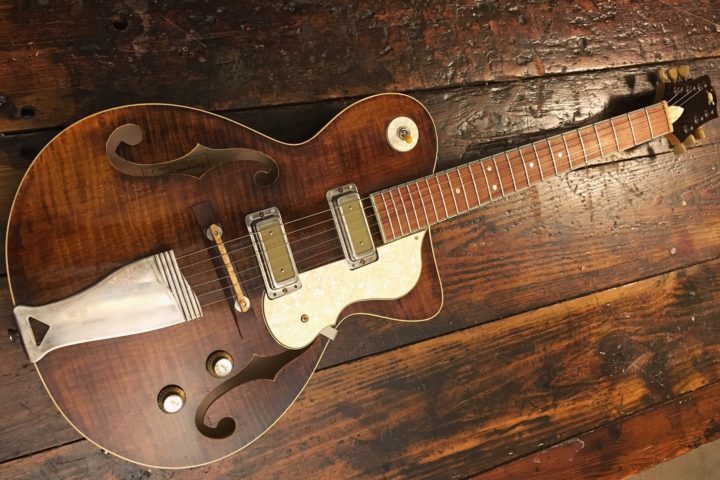 On the grass is a Gretsch Corvette, with two tuners on one side of the headstock and four on the other side. 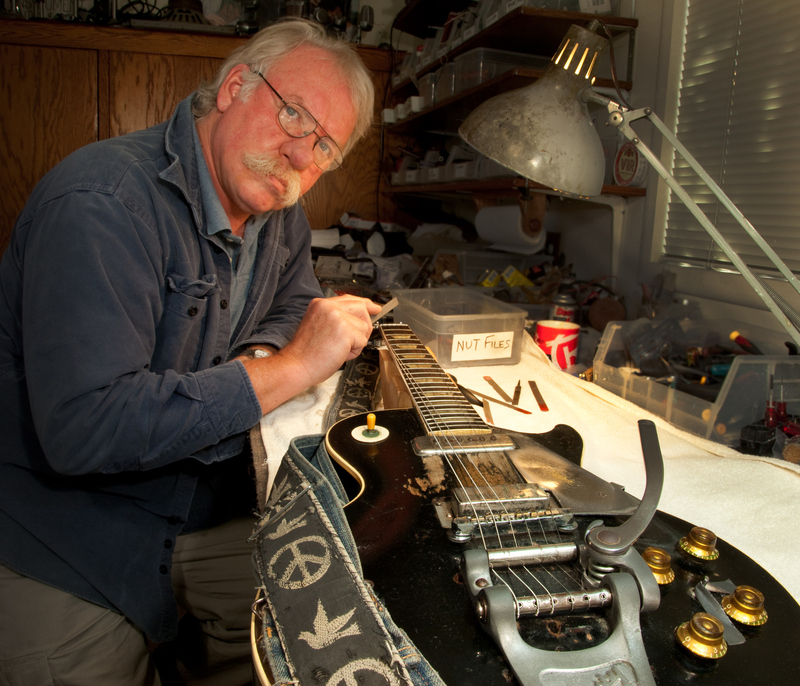 Larry Cragg with Neil Young’s 1953 Gibson Les Paul, better known as “Old Black.” Photo taken in December 2011, while Cragg worked on an issue with the guitar’s nut.